The ReInhabiting the Village Ambassador network consists of ambassadors located all over the world. We are all woven into this project, as the purpose and intention of ReInhabiting the Village was to FEATURE THIS VILLAGE MOVEMENT: Our community, Our projects, Our organizations, Our wisdom and passions. We invite YOU to become a Community Ambassador and represent ReInhabiting the Village in your community! Reality Sandwich is a web magazine for this time of intense transformation. Our subjects run the gamut from sustainability to shamanism, alternate realities to alternative energy, remixing media to re-imagining community, holistic healing techniques to the promise and perils of new technologies. We hope to spark debate and engagement by offering a forum for voices ranging from the ecologically pragmatic to the wildly visionary (which, to our delight, sometimes turn out to be one and the same). Counteracting the doom-and-gloom of the daily news, Reality Sandwich is a platform for voices conveying a different vision of the transformations we face. Our goal is to inspire psychic evolution and a kind of earth alchemy. Hundreds of contributors have posted a variety of content, including thought pieces and essays, short news stories, video clips, and audio podcasts. The site is published daily, Monday-Friday. As Reality Sandwich has developed, we have become much more than a traditional online magazine. 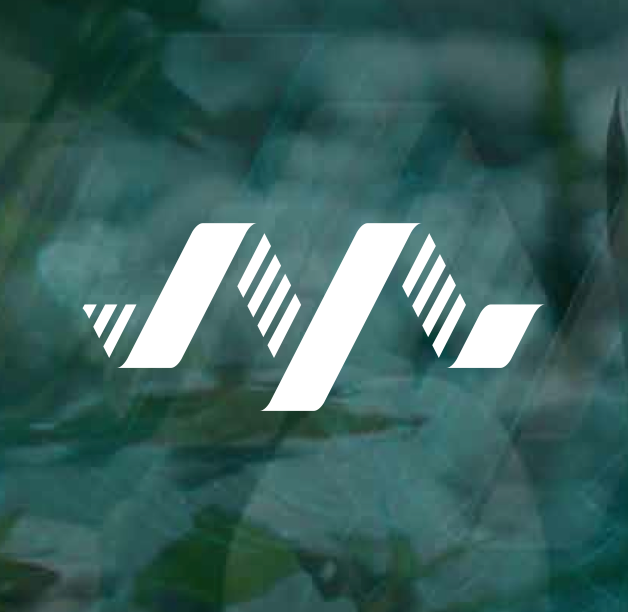 We have created a social network, Evolver.net, that facilitates connections between the members of our international community. As our features present visionary ideas and new tools for sustainable living, Evolver supports our members in using these new concepts and techniques in their own lives, as well as facilitating discussions about their own journeys of discovery. To learn more about collaborations between Keyframe-Entertainment and Reality Sandwich, please see keyframe-entertainment.com/about/news/. Electronic Music Alliance is a 501(c)(3) public charity and non-profit organization uniting the Electronic Music community to be the “Sound of Change”; cultivating, collaborating, and celebrating social responsibility, environmental stewardship, community building, and volunteerism. Julian Reyes is Board of Directors of EMA. It’s our mission to encourage fans, artists and industry leaders from the electronic music community, to work toward positive change, by supporting local charities, participating in community volunteerism events, and implementing standards that will not just keep the Electronic Music eco-system competitive, but at the forefront of sustainability. Electronic Music Alliance is committed to raising funds to create programs which support our mission and culture. The Electronic Music Alliance (EMA) is a global membership alliance of the electronic music industry and community. Lucidity is an open-source transformational arts and music festival. We call it open-source because we co-create this festival experience with YOU! We invite you to come play with us, get involved with one of our seven themed villages, call together your star family, bring art, lead a workshop, spark a spontaneous flash mob, embody a character from your dreams, be silly and wild and free! We bring together a world class lineup of musical talent and weave them together with the sounds and vibrations of our beloved local stars. Our galleries showcase the sickest fine art the region has to offer, enriching the festival as a visual voyage. Art installations pleasure participants with multi-sensory stimulation while themed environments create intimate settings for personal connections. Lucidity’s environmental commitment is to leave Live Oak better than before. When we become lucid in our dreams, we realize ourselves as infinite potential, we let go of fear, and we are free to create that which we want to see in the world. Bring those visions, those possibilities, and that delicious conscious energy with you to Lucidity and wake up in the dream. Lucidity Festival LLC is a collectively owned organization dedicated to creating Transformational experiences for individuals and communities; a production company, a creative lifestyle brand, and an interconnected community of friends and family. Our mission is to strengthen community through the fostering of the following core values: Participation and immersion in the artistic process, Personal growth and global healing, Awake and aware consciousness, Environmental and social responsibility, Family fun and creative play, Communal reciprocity, and Transparency. ARTandVR is a Futurist Festival celebrating the fusion of art and technology. ARTandVR was birthed from the belief that bridging the growing chasm between the art and tech communities could catalyze the radical change needed to become a humanist, progressive society. Bringing together the best in underground art and indie coding, the results are multi-layered, sensorial, and groundbreaking. 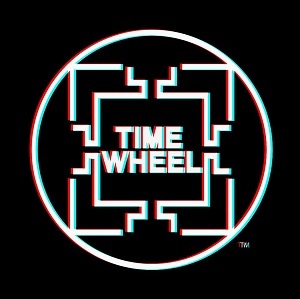 TIMEWHEEL is an independent record label, artistic media platform and creative studio based in San Antonio. Founded in 2013 by a collective of artists, TIMEWHEEL’s mission is to create and celebrate forward-thinking music, art and culture. 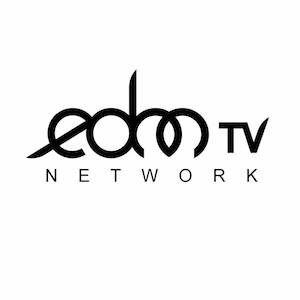 EDMTV (Electronic Dance Music Television) has centralized the Electronic Dance Music community. A television network and online social hub is the necessary response to dance music’s explosion into pop culture. EDM hasn’t just dominated North America, but is now recognized worldwide, as hundreds of genres come together, gaining support from major superstars. Our infrastructure turns fantasy into reality, giving fans an exclusive insight into concerts, festivals, music production, animation, theories and equipment, interviews with their favorite artists, entertaining TV shows and fashionable merchandise to fit into our EDM family. 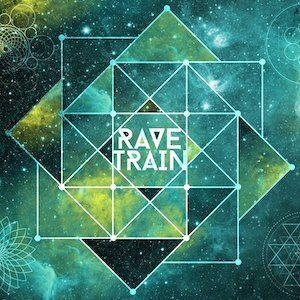 Rave Train is a new innovative Youtube dance web series featuring all genres of EDM. For years and yesteryears, we have reminisced about the cultural phenomenon that is, was, and forever will be Soul Train. A movement that set on fire the influence of dancer and dancer awareness on a global stage. Ever since, nothing could hold a candle to the impact that this era has had on inspiring the dance community at large. Flash forward to the present and a group of diehard electronic music, dance, and cultural fanatics had a series of chance meeting during which they each realized they were riding a similar thought wave…. Why not resurrect the spirit of said cultural phenomenon with the heartbeat of the ever exploding electronic music realm?! With zero dollars, tangible passion, and endless hours of dedication, Rave Train was born. And now, on the precipice of festival season, Rave Train has been launched into the webosphere. Conscious Community™ Magazine (formerly The Monthly Aspectarian) is a Chicago-based publication and winner of the Conscious Evolutionaries Wheel of CoCreation Award. Founded in 1979, we are the oldest spiritual magazine in the United States dedicated to elevating consciousness. Each issue is filled with a myriad of articles, including monthly columns and interviews with leading spiritual teachers and experts such as: Joan Borysenko, John Bradshaw, Matthew Fox, Deepak Chopra, Jean Houston, Robert Masters, Brian Weiss, Bernie Siegel, Dan Millman, Neale Donald Walsch, Shakti Gawain, Sonia Choquette, Thomas Moore, Richard Bach, Eben Alexander, MD, Don Miguel Ruiz Jr., and JP Sears. Our writers discuss a range of topics related to consciousness, such as: spirituality, health, wellness, yoga, numerology, astrology, relationships, organic gardening, animal/pet care, and more. Our most popular features are: Community Happenings, a monthly event calendar of conferences, festivals, expos across the Midwest, and Cosmic Daily Weather, a day-by-day astrological forecast for the month. We also report on local and regional events. We at Conscious Community Magazine believe that mindful communication can foster positive growth, and we are all co-creators of this world. We feel we are called to play our part elevating the consciousness level of humanity in our communities, our nations, and the world. Future Music Industry Network’s mission is to facilitate the co-creation of a new music industry model through technology, entrepreneurship and innovation. FMIN is a year-long event series on the last Thursday of every month, and consists of three elements: Problem Solution Index, Think Tank, and Present Roadmap. North Atlantic Books is a leading publisher of authentic works on the relationship of body, mind and nature to create personal, spiritual and planetary transformation. Founded in 1974, North Atlantic Books has been located in Berkeley, California since 1977. In addition to NAB, their imprints include Blue Snake Books, a leading publisher in martial arts titles, and Evolver Editions, a collaboration between North Atlantic Books and Evolver, LLC presenting leading voices of the transformational movement. NAB’s mission is to affect planetary consciousness, nurture spiritual and ecological disciplines, disseminate ancient wisdom, and put forth ways to transmute cultural dissonance and violence into service. 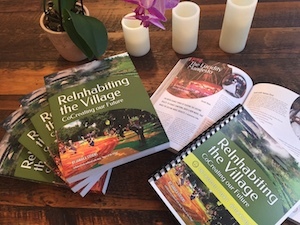 NAB has given voice to many new modalities of living and thinking about our world since the 1960s–-ways to interrogate and rediscover diet, healing, mindfulness, psychotherapy, somatic and martial practice, and creativity. NAB’s specific strengths are martial arts, bodywork, history of medicine, homeopathy, archaeo-astronomy, transdimensional realms, Eastern religion, diet and natural foods, live food, fine literature, and quirky aspects of pop culture. NAB publishes widely and diversely, mixing commitments to its niches with broad-based general trade books. Although not its main rubrics, NAB publishes environmental titles; graphic novels and comics; urban literature and detective novels; cookbooks; art books; sports books; and new perspectives in dance, film, and theater. Uniting chill people from all walks of life into one network is RollRandom’s mission. The ultimate goal is for anyone, anywhere, at anytime to be able to open up the RollRandom app and connect with legit, like-minded people. Rave/EDM culture has taught us to cherish, share, and live by the mantra of PLURR (Peace, Love, Unity, Respect, and Responsibility). We believe that the non-judgmental, embracing, and positive environment prevalent within these music festivals should carry over after the last record is spun and permeate our daily routines. We are confident that our culture’s good vibes and core philosophies are the keys to unlocking humanity’s social potential and enriching the lives of everyone. You are at the forefront of this movement!! At the end of the day, We are all connected. 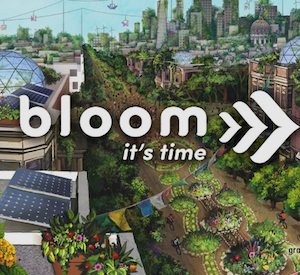 Bloom Network is a social and mobilization network for regenerative culture. Local Bloom chapters host creative events and media to support and feature existing projects and thought leaders. We share best practices across the global network to scale up and replicate what is working well to address common problems such as social inequality, ecosystem degradation and conflict. Actions like permaculture garden builds, indigenous solidarity, restorative justice and alternative economic models are all things you can find here and at your local Bloom. Solpurpose is an online and event based media project, marketplace, and visionary community epicenter. We serve to synergize, support, and proliferate the powerful positive expressions being generated by artists, artisans, musicians, and conscious organizations at the heart of the visionary culture. We specialize in providing inside access into the innovation behind this emergent transformational way of life through offering unique expressions of visionary online media paired with workshops, artistic installations & events on the ground level. Our catalog includes the provision of unique, one-of-a-kind goods, insight into the inner workings of the foremost creative minds of our time, and the cultivation of pioneering projects and events that push the boundaries of community advancement for the greater world community. Flow Fests are free, public, urban arts events offering participants the opportunity to study movement arts with instructors from across the globe. These multi-day workshop festivals bring the fun and learning of flow arts, circus arts, yoga and dance into urban parks. Flow Fests invite people of all ages to create and celebrate performance art, health and wellness in community. Our mission is to promote movement arts, play and flow by providing education, connection and performance. 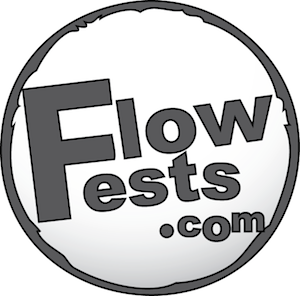 Flow Fests take place in cities big and small across the US. 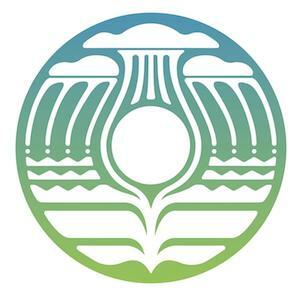 Gaiacraft is a visionary permaculture collective offering free open source learning and teaching tools for permaculture education at all levels. Gaiacraft is a vessel for ecological outreach education. Using new media strategies it is intended to generate awareness and inspire gaialogues about how to have regenerative relationships with ourselves, each other and the living ecologies around us. Free learning and teaching tools, workshops, courses and programs, ecological design and consultation, gathering and conference production, articles and publications, educational installations, and networking resources. Evolver is the leading platform for content and commerce serving a global community of 80 million cultural creatives seeking optimal states of well-being in mind, body, and spirit. We intend to become a leading trust-agent for individuals and groups participating in our transformative culture–one of wisdom, beauty, and fun. Keyframe-Entertainment is the Music Editor for Evolver EDM. We hold as our Vision that this understanding of ourselves, as participants in a greater interconnected whole and the subsequently required attitude of Compassion towards All, when communicated to others may serve as a spark–one by which individuals, ethnicities, and nations may then evolve into a sustainable and generative global culture which embodies universal respect, cooperation, and mutual benefit, living in harmony, peace, and abundance. Our Mission is to serve as a beacon connecting people everywhere to information, resources, and education which communicate this understanding of the inherent interdependence of us all, and offering tools, trainings, and templates for how to begin to embody this understanding in their everyday lives, in order to empower them to be the change they hope to see in the world. Digital-Reign is an award-winning multiplatform production company that creates original content, interactive experiences, and visual media in the areas of television, film, mobile apps, games, augmented reality, Oculus Rift, comics, social media and more. The synthesis of storytelling, media, technology, and pop-culture inspires Digital-Reign’s creations. Knowing the rules and breaking them is the key of Digital-Reign’s success. As such, Digital-Reign embodies the Fusion of Storytelling, Media and Technology. 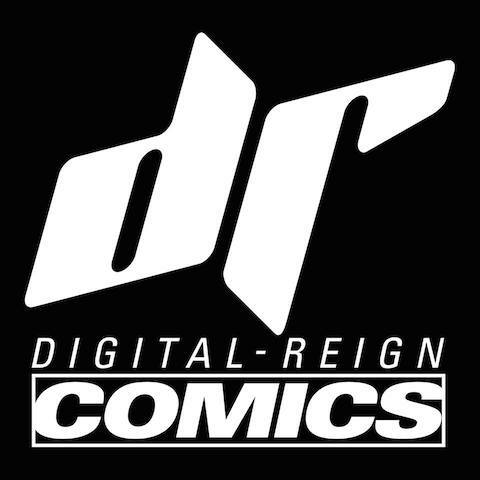 Digital-Reign is the producer of “Dark Prophet,” whose comic book component will be launching at the 2014 Comic Con conference. Julian Reyes is the Associate Producer of the “Dark Prophet” comic book. DARK PROPHET is the story of a gifted music student and math genius who discovers top secret information hidden in the binary code of songs. When the code tells of a covert government agency plotting world war, the music student suddenly finds himself framed for his girlfriend’s murder and must go underground to find her killer and stop the agency from starting the war. As fans of electronic music, we were frustrated having to search so many websites to find the information we were looking for. Specifically, we wanted to track our favorite artists, search upcoming local area events, and listen to music samples from a variety of electronic music genres. We wanted to visit one website for all of our electronic music informational needs. The Untz was created to fill this void. Mythaphi [mith-uh-fai] is a media production and distribution platform for the socially conscious consumer looking for emerging culture and technology. 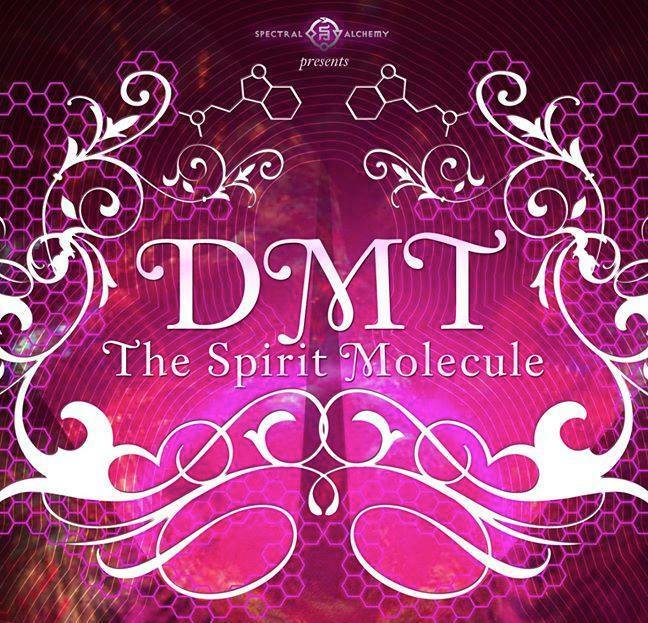 Brought to you by Spectral Alchemy, the creative team behind the critically acclaimed documentary “DMT: The Spirit Molecule,” our mission is to attract, organize and communicate leading edge culture and technology that supports your personal growth and expands our globally conscious community. “The Spirit Molecule” is a documentary film that investigates dimethyltryptamine (DMT), an endogenous psychoactive compound, which exists in humans as well as in numerous species of plants and animals. The feature-length documentary traces Dr. Rick Strassman’s government sanctioned human DMT research and its many trials, tribulations, achievements, and inconceivable realizations. This includes looking deeper into the intensepsychedelic experience that DMT causes when consumed, and examining DMT’s scientific, spiritual, and cultural relevance. Ultimately, “The Spirit Molecule” explores the connections between cutting-edge neuroscience, quantum physics, and human spirituality. The film features interviews with prominent figures like Alex Grey, Daniel Pinchbeck, Erik Davis, Mitch Schultz, Dennis J. Mckenna and footage of Terrence Mckenna, to name a few. It also features mind-blowing visualizations of the DMT experience and motion graphics displaying a collection of technical illustrations, charts, and graphs that explain the substance’s structure and Dr. Strassman’s physiological findings. 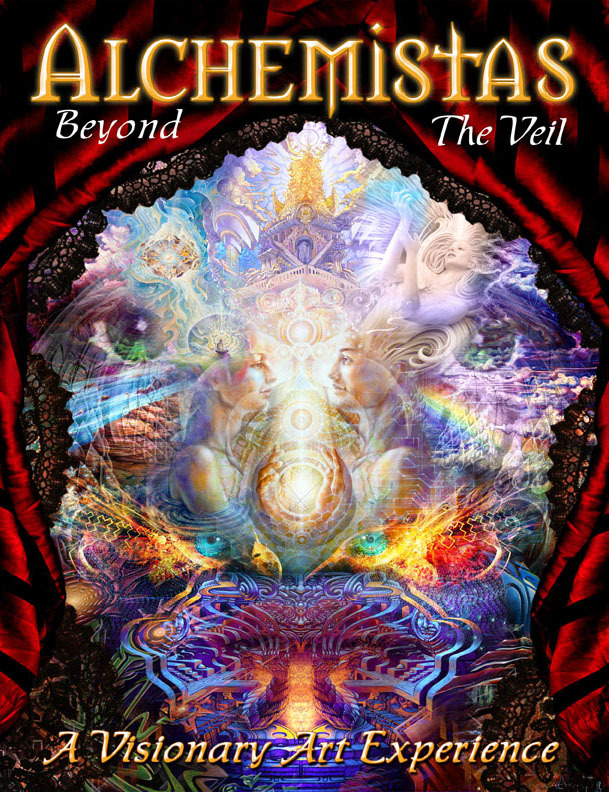 Alchemistas – Beyond the Veil is an unprecedented collection of 55 of the World’s Best and Emerging Visionary Artists, published together for the first time! This is not your average coffee-table book, it’s unconventional design and the beautifully intricate artwork will provide hours of eye-candy guaranteed. This first edition of the book is available for a limited time and is sure to become a collectors item. It was created by the Artists themselves and all of the proceeds will go towards future collaborative projects. 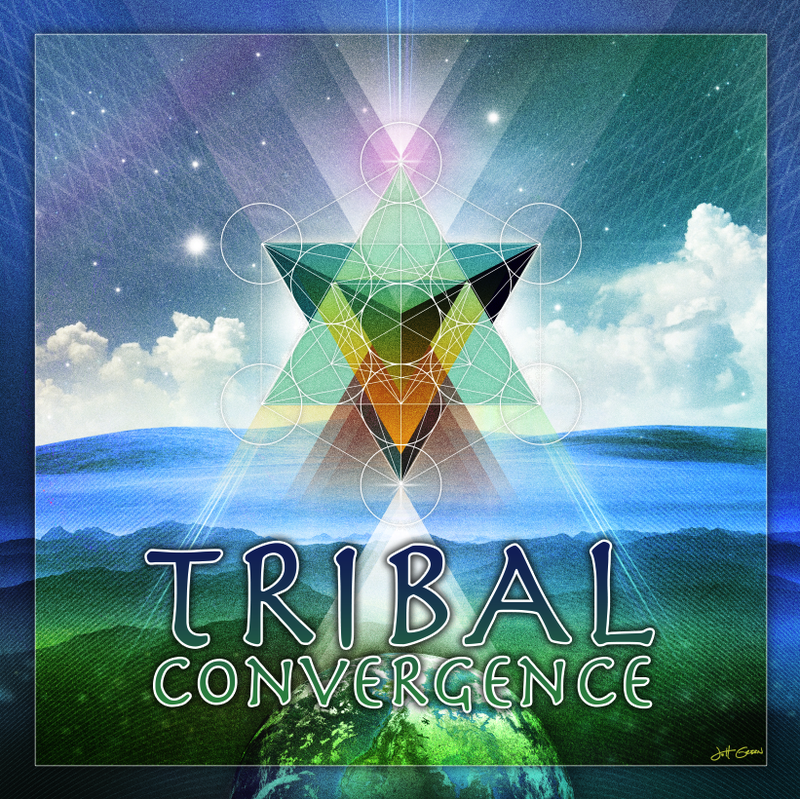 Contains amazing artwork by these artists and more: Mark Henson, Mariela de la Paz, Andrew Gonzales, Andrew Jones, Amanda Sage, Carey Thompson, Luke Brown, Chris Dyer, Darren Minke, Autumn Skye Morrison, Cameron Gray, Adam Scott Miller, Brian Paul Smith, Krystleyez, Mugwort and GeoGlyphiks. 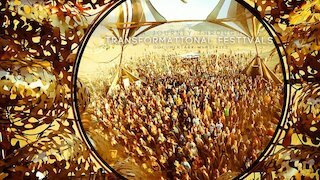 Resource to support and promote the Transformational Festival culture; immersive participatory realities that are having profound life-changing effects on hundreds of thousands of lives. Festival Fire is a central hearthfire, a source of news and inspiration for the transformational festival community. We also serve the community with access to top vendors through our store, with a variety of services for entrepreneurs (of which we are many), annual publications, and lots of fun! 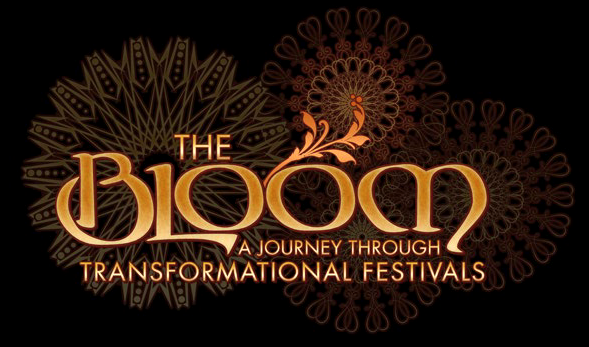 “THE BLOOM: A Journey Through Transformational Festivals”is a groundbreaking documentary web series by Jeet-Kei Leung and Akira that illuminates the blossoming phenomenon of Transformational Festivals; immersive participatory realities that are having profound life-changing effects on hundreds of thousands of lives. Over the course of 4 episodes and 23 transformational festivals around the globe, “THE BLOOM: A Journey Through Transformational Festivals” explores a new “blooming” of human consciousness emerging through creativity, love and joy as part of an emerging culture pointing the way to a bright and promising future. Keyframe-Entertainment is the Executive Producer of “The Bloom Episode 3, New Ways of The Sacred” and Associate Producer and Film Screening Director of all episodes. Starseed International engages in multimedia production, sustainable systems and social media solutions, the company offers the advantage of exposure and growth while supporting conscious and sustainable living, global awareness, and a new vision for the future. Starseed International is an innovative technologies, communications, and global content distribution platform. In addition, they also serve the education sector by providing a wide range of industry services for local, national, and international clients in radio, fashion, film, television, advertising, marketing, public relations, and travel. Their creative and award-winning team brings a wealth of talent and experience to every project.